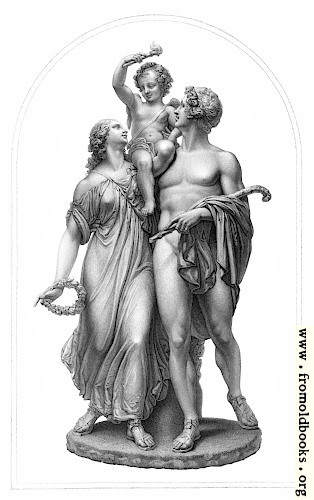 Engraved by W. Roffe, from the group in marble by P Mac Dowell, R.A. Note: the sculptor’s name is written variously as Mac Dowell in two words or as Macdowell, both in this issue of The Art Journal and elsewhere. I think this is the same as “Love Triumphant” also mentioned in the text. Macdowell was helped by Joseph Edwards (1814 – 1882) in making this sculpture, which is cut from a single piece of marble.